Angelina Johnson is the epitome of Gryffindor House. She is a strong, sassy character that demands to be heard and doesn’t back down from a threat. In honor of Black History Month, we’d like to highlight Angelina’s most admirable and Gryffindor-worthy qualities. She is a woman. She is a woman of color. And she is a phenomenal role model. 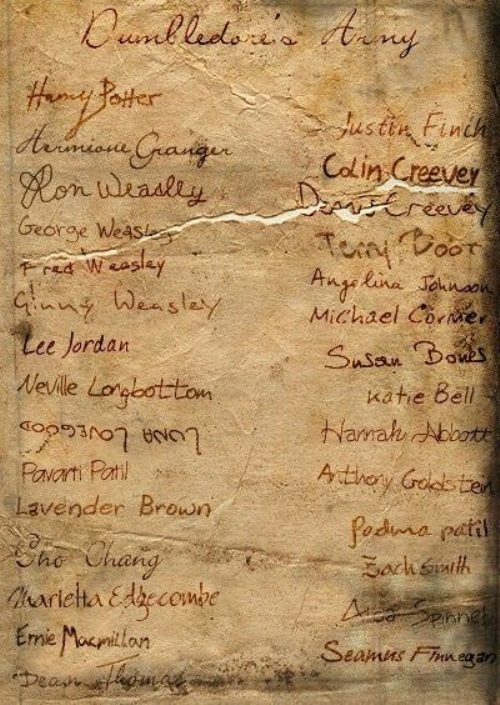 Angelina made the Gryffindor Quidditch team by her third year, so while she may not have been the youngest “in a century!” like Harry Potter, her position with the team deserves recognition. She quickly became the strongest Chaser and frequently made the commentary. Granted, the commentator, Lee Jordan, also found her attractive. His Quidditch announcing phased her about as much as Pansy Parkinson’s crude remarks about her hair. By this, I mean not at all. Angelina didn’t sweat the snickers, and she barely noticed the critics. Angelina Johnson knew exactly who she was and didn’t need anyone’s permission to be happy in her own skin, thank you very much. Aside from being a star Quidditch Chaser and confident Gryffindor, Angelina was outspoken for herself and others. While Oliver Wood was Captain of Gryffindor Quidditch team, he often referred to the team as “men” or “lads,” and Angelina was having exactly none of that. She frequently and bluntly corrected Wood by reminding him that his three Chasers were, in fact, women. She showed great loyalty when she stood up for her friend and Quidditch teammate, Harry, after much of the school turned against him during the Triwizard Tournament. She kept her cool in the face of challenges: even puberty. She wasn’t shy about asking her friend Katie Bell if Cedric Diggory was “that tall, good-looking one.” Please, she had more important things to worry about than being subtle. 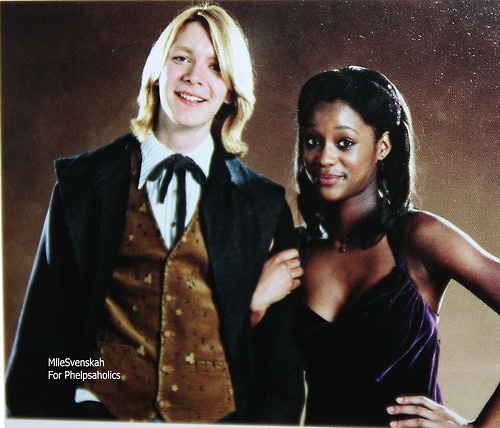 When Fred Weasley invited her to attend the Yule Ball with him, she knew to keep it light: “All right, then.” This is how to handle the boys, ladies. Calm, cool, and confident. Make them break the sweat! Of course they want to take you on a date! She also embraced her raw emotions and kissed Harry Potter once out of joy for beating Ravenclaw in a Quidditch match, which is again, no big deal. After Oliver Wood’s graduation from Hogwarts, Angelina took over the role as Quidditch team Captain. She was hard-working and expected the same of her team. A strong leader, she proved herself to be just as demanding and serious as Oliver Wood himself. Of course, she also had a much more difficult situation to deal with. Oliver Wood got the youngest person to make the House team in a century, but Angelina had to replace Harry as Seeker and the Weasley twins, her two Beaters, for an entire season and train a new Keeper to replace Wood. Yeah, really easy task. Don’t forget, she was still a student, too. Angelina was taking NEWT-level Care of Magical Creatures in her seventh year, and it’s entirely possible that she advanced to NEWT level in many of her classes. On top of Quidditch troubles in her seventh year, Angelina still made time to stand by her friends and defend what she believed to be right. She joined Dumbledore’s Army in an effort to defy Dolores Umbridge and proved herself to be gifted at dueling. She remained loyal to the DA and returned to fight in the Battle of Hogwarts at the call of Hermione Granger’s bewitched DA coins. She returned with Katie Bell, Alicia Spinnet, and Oliver Wood, proving that her loyalty to her friends and teammates ran deeper than the bond of the Hogwarts Quidditch pitch. Angelina Johnson is a strong, loyal, hard-working, brave, and outspoken character. She makes me proud to sport the crimson and gold of Gryffindor. While there were no direct accounts outside of Pansy Parkinson’s lame japes of Angelina facing obstacles due to her race or gender, I am confident that she would have handled them with the same confidence and grace as she approached the rest of her life. And maybe the reason she wasn’t directly confronted on her race throughout the Harry Potter series is because the author knew she shouldn’t be. Food for thought. Celebrate witches, celebrate witches and wizards of color, celebrate the wizarding race! Poll: What’s Your Reaction to the Three New “Harry Potter” Stories?